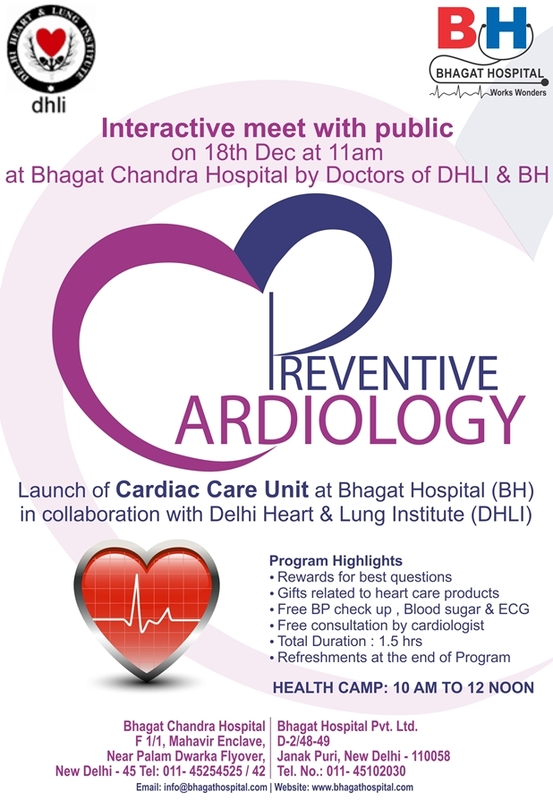 Preventive Cardiology-Interactive meeting with public will be held on 18th December,2011 at Bhagat Chandra Hospital, Dwarka from 10 a.m. onwards. Mr.Shammi Kalal-Marketing Head-Bhagat Chandra Hospital Pvt. Ltd. informed Dwarka Parichay that on the same day the launch of Cardiac Care Unit in collaboration with Delhi Heart & Lung Institute will be held at Bhagat Hospital. Later on, free Blood Pressure check up, Blood Sugar & ECG, free consultation by Senior Cardiologist will be the main feature of the day long programme. Rewards for best questions on cardiology will be given during the camp only. The Lokpal awards – vote now!